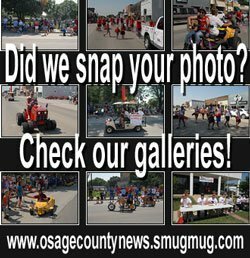 Osage City Parks and Recreation is gearing up for its fall schedule of activities, including opportunities for taekwondo classes, softball pitching clinics, dance camps and youth football. OCPR also is seeking proposals for providing photography services, and applicants for the OCPR advisory board. Price includes t-shirt and uniform for all new students, ITA membership for the new TKD students, and belt testing for all qualified students. Instructor, OCHS Softball Head Coach, Tammy Serna, 14 years coaching high school level softball. Clinic Times, 6-6:30 p.m., 6:30-7 p.m., 7-7:30 p.m., 7:30-8 p.m. Contact Tammy Serna for your clinic appointment, 785-633-2708. Recommended Practice Clothes – Shorts/Sweats, Sneakers, Socks, T-Shirt, No Jeans! Sign-up deadline – Nov. 2. OCPR is accepting bids from photographers for team and individual program pictures. This would be for the 2016 season. 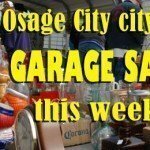 Submit a price sheet (package and/or specialty items), contact information, and any other proposal information you would like OCPR to consider to – Corey Linton, [email protected] or by mail to 201 S. Fifth St., Osage City. Proposal deadline, Oct. 12. Questions, call 785-528-4610. OCPR is seeking individuals interested in being on the Osage City Parks and Recreation Advisory Board. 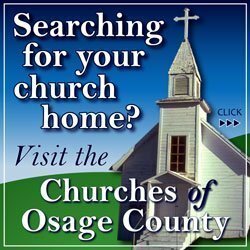 Applicants need to fill out an Osage City Citizen Board Application. Those applications are available in the Utility Office at Osage City Hall or can be sent out by request. The Parks and Recreation Advisory Board meets the thirrd Thursday of each month (with some exceptions). Applicants must reside within the USD 420 school district. For more information, contact Corey Linton, [email protected] or 785-528-4610. Osage City 3rd/4th Grade Tackle Team vs. St. Marys: 6-7 p.m. Scrimmage. Osage City 5th/6th Grade Tackle Team vs. St. Marys: 7-8 p.m. Scrimmage. 3rd/4th Grade – Oct. 10 – vs. Topeka Saints, 9 a.m.
5th/6th Grade – Oct. 3 – vs. Emporia (Clint Bowyer Auto), 9 a.m.
5th/6th Grade – Oct. 10 – vs. Burlington, 10:30 a.m.